When I was about twenty years old, I wrote a children’s story. The idea came to me while sitting on the beach of LBI during a family vacation. My mother probably lay nearby reading a James Patterson or Patricia Cornwall novel. My siblings most likely sat in bright beach chairs taking the sun, except Katie who I’m sure was playing in the sand with my nieces and nephews. Surrounded by my own family, I wrote The Perfect Family for Freddy. After being unfairly blamed for an argument with his sister, a young fox named Freddy decides he needs a new family. The story follows him as he moves from family to family in the forest, searching for the perfect fit. But the bats fly while he does not; the turtles live in the water, not on the land, and the rabbits don’t eat meat, something Freddy cannot give up. Feeling extremely discouraged, Freddy is elated when the youngest rabbit tells him about a family that walks, lives on land, dines on meat and lives just around the bend. Freddy runs enthusiastically toward this amazing family and what does he find? His very own family, the perfect one for him all along. I do admit that it is a rather cute story. However, if I stepped into Barnes and Noble tomorrow and pulled A Perfect Family for Freddy off the shelf written by some other author, I would be bothered by its contents. I was even reluctant to share the details of the story on here and to have other people know that I wrote it, a story that negates almost everything I believe about family today. 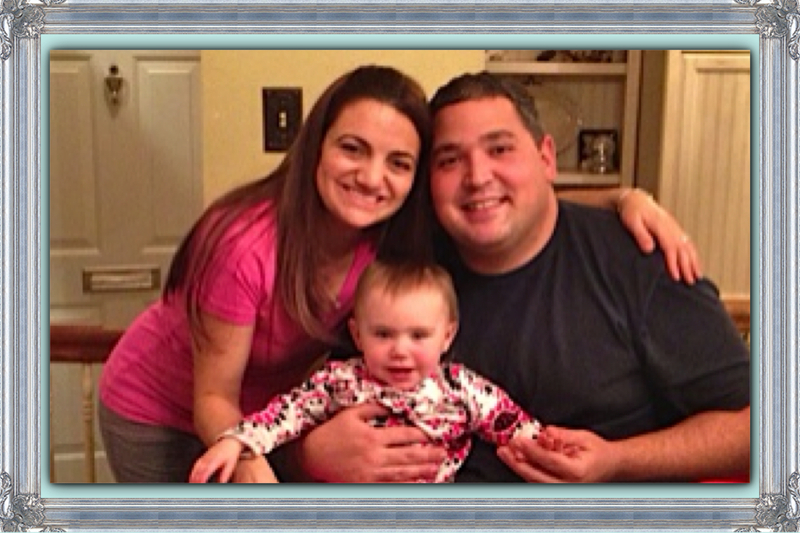 A story that, in some ways, contradicts the very foundation of my own family of three. My intended message in the story was that family is important and we should stay devoted to our families no matter the ups and downs we may experience. Of course, I still believe in this idea and it is one I want my daughter to learn over time. Unfortunately, Freddy’s journey through the forest sends another a message as well, a message to which I was not sensitive when writing it as a single, twenty-year-old woman. As Freddy makes his way from family to family, he decides he cannot possibly live with each of them because they are different, because they are not foxes and do not act like foxes. Freddy’s return to his biological family at the end of story drives home the point that that is where he belongs. By all means, for Freddy and many other children (human children of course) that is quite true. As an adoptive mother, though, I cannot help but see this story as one that argues against the idea of adoption. The story clearly implies that families should be made up of people who are alike, who are biologically linked, and that families with differing members simply will not work. At the very heart of adoption is the complete opposite idea. We adoptive families know that family members need not all be the same; we need not have physical ties. We are a family because we love one another. We are a family because despite the distance between us, geographical or genetic, somehow we still found each other. And our families are every bit as real as those that are biological. My story is not the only one I have found that sends such a message. One other book that I put on the “Do Not Read to Rosemarie List” is Are You My Mother ? by P.D. Eastman. You are not a kitten. You are not a hen. Again, the message sent is that mother and child must be alike in order to be mother and child. There is something sweet about this story. And I know the intent was not to bash adoption. However, it is still not something I will read to my daughter, for I do not want her young, malleable mind to learn that a mother and daughter or father and son or brother and sister must be alike in order to be family. Lucky for me and other adoptive parents, there are plenty of children’s books that promote adoption-friendly concepts of family. 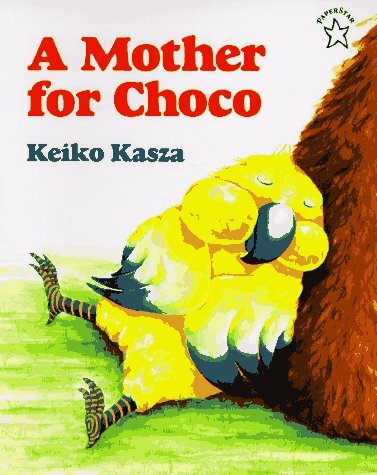 One of my favorites, A Mother for Choco by Keiko Kasza, is pretty much an adoption version of Are You My Mother?. Choco, a lonely bird without a mother, searches for one throughout the forest. He repeatedly asks animals who are like him if they are his mother. The giraffe has yellow skin like him, the walrus has chubby cheeks, etc. Each of these animals, however, is not his mother. In the end, Choco sobs over his failed quest, only to meet Mrs. Bear, who is nothing at all like him but holds him, kisses him, and cheers him up as a mother would. He returns home with her to meet her three other children: an alligator, a pig, and a hippopotamus, joins their family and happily sits on his new mother’s lap on the last page. The story shows its young readers that family is not about physical similarities; it is only about love. Perhaps parents of biological children will find such a book unnecessary and that is very understandable, but for our family, this book is one I intend to read for years to come. In truth, this book and others like it were probably not even intended for adoptive families like ours. We are not recognizably different because Anthony and I adopted within our race. The differences between Choco and Mrs. Bear are presumably more meaningful to a transracial adoptee, who may wonder about the way his skin or facial features differ from his parents. Rosemarie will not experience this. Regardless, it is still important to me for her to learn the idea expressed in Choco’s story. Sure, her skin is the same color as mine, her eyes match my mother’s and she can pretty much pass for my nephew’s biological sister, but I want her to know that none of that matters. That is how we feel about Rosemarie and how we want her to feel as she grows So we will do our best not to expose her to stories or movies or TV shows that tell her because we are different, we are not a family. Instead, we will choose those books and films that teach her that despite any physical difference in our blood, our genes, or our appearances, she belongs to us and we to her.